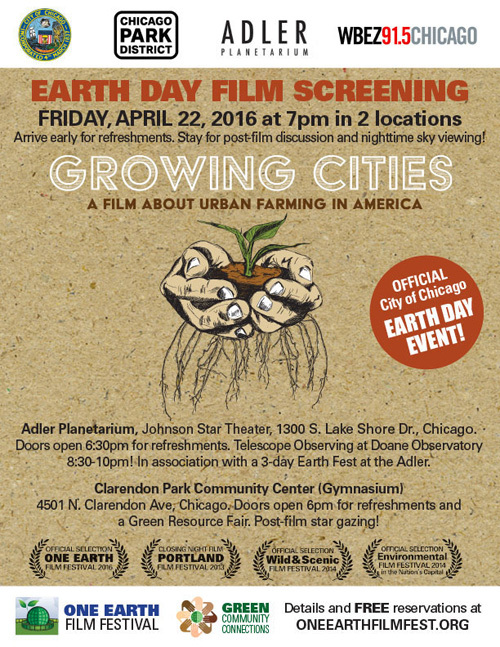 "We invite you to continue the One Earth Film Festival fun and celebrate Earth Day with us by watching the award-winning film, Growing Cities on Friday, April 22, at Chicago's official Earth Day celebration in two locations. This 60-minute film is friendly for all ages. Seating is limited. FREE advance registration is recommended -- Click here. View the film trailer here."